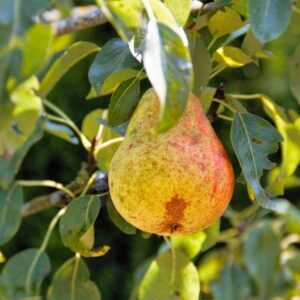 Are you looking for fruit trees that are REALLY cold-hardy? 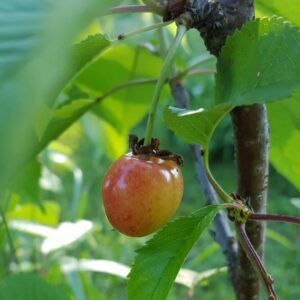 We sell ONLY the trees and plants that we have grown, and harvested fruit from in on our experimental orchard in Winterport, Maine. Each year we add more varieties to our orchard to see how they do in our extreme climate. Our farm has winters with -20 degrees Fahrenheit in winter to summer heat in the 90’s. Our trees don’t get watered or fussed over. We do not have time for that. Your trees shouldn’t need it either. 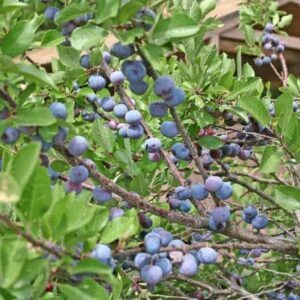 Our Maine tested trees will make growing fruit easy for you. Your order comes with our exclusive Ultimate Guide to Growing Plants in a Simple, Natural, and Poison-Free Orchard. These simple instructions will show you the How To’s of natural tree care. When will my trees be ready to pickup or ship? We start shipping trees and plants when the spring is finally here. We normally start shipping around the 27th of April unless you have specified a later date in your notes. Pick-ups are scheduled to be on Saturday April 27th and May 4rd. If Saturdays do not work for you, please just let us know. How big do your trees get? What about pollination…do I need more than 1? What’s wrong with the potted trees at the local home improvement store? Nothing, aside from the fact that they are MUCH more delicate than bare root trees. If you’re an experienced tree grower, we say go for it. 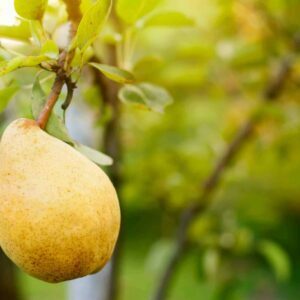 But, if you’ve never successfully grown fruit trees, we highly recommend trying our bare root trees – you’ll be astounded with the difference. 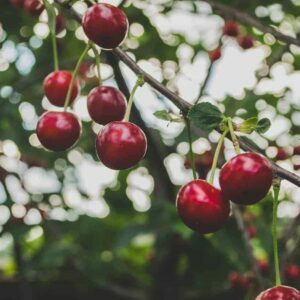 The trees you’ll buy from them will be well known varieties, the ones that you see in the grocery store. Not trees that are grown with extreme climates in mind. You won’t find Red Delicious or Macintosh in our selection. They were developed for large orchards and their spray programs. Not for the backyard orchard. The shocking secret within the nursery industry that no one talks about. They’re selling you fruit trees that they know will probably die and by the time you figure out why, it’s likely you’ve had failed trees more than once. The potted trees at your local home improvement store look so nice and neat in their little pots and fully leafed out. They’re convenience and packaged, to be purchased by you on a spur of the moment decision based on how they look. To grow a large tree within a small pot, you need a lot of fertilizer and daily watering. Before potting this tree, they trim the roots to fit in the pot. Now these roots have nowhere to go but round and round. Often, there is nothing that can be done to resolve this and the trees never reaches it’s true potential or anchors in the ground correctly. Huge nurseries in the southeastern part of the US grow these chemically dependent trees and send them to all their stores all over the US. There is no thought for which trees grow best in the area they’re shipped to, the deciding factor is if the name is known by consumers. Once at the store, they are kept on the life support of more fertilizer and water to keep them alive until someone takes them home. To add insult to injury, if the nursery growing them loses the tags on a run of trees, they just put a variety name to it and send it off anyways. The goal for the store is to make a profit, not sell a healthy tree that will provide good fruit for many years in the future. Please tell us what you were looking for.